Since its foundation in 1977, by Educational Psychologist Paddy O’ Dwyer, DUBLIN YOUTH THEATRE has forged a unique contribution to the worlds of theatre and youth work. Dublin Youth Theatre successfully delivers quality creative experiences that promote artistic, personal and social development for young people aged 14 to 22 in Dublin. Dublin Youth Theatre delivers quality artistic experiences through a full and varied drama workshop programme and the production of excellent, exciting and challenging theatre made by young people. DYT is committed to maintaining a high artistic standard in its productions and to engaging with contemporary theatre and youth theatre on a local, national and international level. DYT engages leading theatre artists and skilled, experienced youth theatre practitioners to deliver its artistic programme. 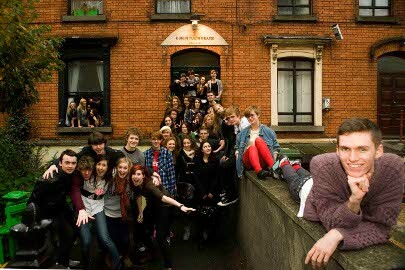 DYT places itself at the centre of cultural life in Dublin and is a permanent home for an ongoing ensemble of young theatre artists DYT is a safe, welcoming place where members can meet other young people from all parts of Dublin in a fun, artistic and social environment. DYT is open to all young people regardless of race, ethnicity, gender, socio-economic status, national origin, sexual orientation, ability or faith.